In an effort to raise awareness on the extent of malnutrition among children below the age of 5, World Vision India, in association with Youth Ki Awaaz, announced the launch of a blog-a-thon contest on hunger today. Hunger is an endemic issue across the nation, with India being home to a quarter of the world’s underweight children under the age of 5. To this day, 40% of the population is malnourished – a decrease of only 10% in the last three decades. Every year, around 6.6 million children die of preventable diseases in the world, 60% of which is due to hunger and malnutrition. From stunted children to undernourished farmers who go hungry every night, hunger remains a menace for which a solution is urgently called for. The one-of-a-kind blog-a-thon launched today aims at stirring up a conversation around hunger by harnessing the power of blogs. Participants can stage a post, a video, an article, a poem, a doodle or even a photo story on the theme of “Hunger is…” They can also use personal narratives of how they have seen hunger around them or build an entirely new story. The blog-a-thon is the latest step taken by World Vision India as part of its 24 Hour Famine, a campaign targeted at addressing issues of hunger and malnutrition that severely impact the lives of children, especially those under the age of 5. The World Vision India blog-a-thon on Youth Ki Awaaz is now officially open and will run till 20th September. Participants can submit their entries at http://www.youthkiawaaz.com/hungeris/ . The best blog entry will receive a MOTO E mobile phone as a token of appreciation. Conducted in 7 cities across the nation – Chennai, Delhi, Mumbai, Bangalore, Hyderabad, Kolkata and Guwahati – the 24 Hour Famine consists of events from art exhibitions to literary and cultural competitions driven by local communities, school children as well as civil and public officials to drive home the message. It hopes to engage the public and youth from ages of 13–30 on the problems faced by children due to malnourishment. More information on the 24 Hour Famine campaign can be found at http://www.24hourfamine.in/. The 8th edition of EMMA Expo India 2014, bringing to India leading manufacturers of Electronics, Machinery & Moulds, Auto & Motorcycle parts & Accessories, was today inaugurated at the Bangalore International Exhibition Centre (BIEC) by Ananth Kumar, Hon’ble Union Minister for Chemicals and Fertilizers, Yagnanarayan Kammaje, Chairman, Organizing Committee – IMS 2014, Walter Yeh, Executive Vice President, Taipei World Trade Center Co. Ltd, and Ambassador Chung- Kwang Tien, Representative, Taipei Economic and Cultural Center in India. Present on the occasion were a number of dignitaries from the Government, industry, associations and other institutions from India and abroad. The prestigious EMMA Expo India 2014 - running in conjunction with the India Manufacturing Show (IMS) for the second time - will bring together 205 leading Taiwanese exhibitors using 154 booths dealing with electronics, machinery, auto parts and trend setters to explore business opportunities in the growing Indian market. The Expo will be on at Hall 2 of BIEC, on 11 and 12 September from 10 am to 6 pm, and 13 September from 10 am to 4 pm. Free admission will be offered to business professionals with 2 business cards. Taiwan’s latest concept exhibition coupled with IMS will draw more than 7,000 business professionals from India, Bangladesh, United States and other neighboring countries. On-site and after show business opportunities are expected to surpass US$24 billion. By bringing business opportunities up to US$ 24 million, the show will build upon its last success where it generated US$ 12.4 million. Among the top players at the show will be Taiwan firms like Hu Lane Associate Inc. (famous automotive connector and terminal manufacture), Tongtai Machine & Tool Co. Ltd (renowned provider of equipment, instruments and tools), CoreTech System Co. Ltd. (provider of the Moldex injection molding series with the best yet molding simulation solutions), CUB ELECPARTS Inc. (Core manufacturer of Electrical & Electronic Auto Parts), Litemax Electronics Inc. (innovative Very high brightness (VHB) LCD products with mass-production capability), Rhymebus Corp. (Frequency Inverter Manufacturer), Karma Medical Products Co. Ltd. (customized maker of wheelchairs, standing chairs, general purpose chairs and maker of scores of mobility aid devices) and many more. Ananth Kumar, Hon’ble Union Minister for Chemicals and Fertilizers, Tien, Representative of Taipei Ecnomic and Cultural Centre in India, Ms. Amelia Day, Director of First Bilateral Trade Division from Bureau of Foreign Trade, and Bollywood Star Siddharth Malhotra also spoke at the ceremony. Taiwan Trio THEME PAVILIONS will include the: Taiwan Excellence Pavilion: spotlights excellence in innovation and offers businesses an opportunity to get inspired by heading to the Pavilion that showcases 160-plus top-of-the-line products from 47 leading Taiwan brands including ASUS, Acer, BenQ, D-link, Gigabyte, Silicon Power and Transcend. Taiwantrade Pavilion: Taiwantrade is also the official trade portal of Taiwan with added services that include online marketing, trade matching, search engine, value-added information and customized sourcing. Taiwan Higher Education Exposition: Taiwan and India are two hubs of learning. Both nations cherish education, which backs innovation that generates business, industry, and wealth. To underscore bilateral ties EMMA Expo India features the Taiwan Higher Education Exposition that will feature nine leading educational institutions including Academia Sinica, the Taiwan Education Center India, National Tsing Hua University, Kaohsiung Medical University and more. The EMMA Stage Shows will share more industrial insights with businessmen. For the first time ever, the EMMA Stage Shows will showcase exclusive products from companies such as CUB Elecparts Inc., Karmal Medical, Togntai Machine & Tool Co. Ltd, Moldex3D, Wen’s Phoenix Corporation, Luckyear Microelectronics Crop and Hu Lane Associate Inc., these primes companies will demonstrate most innovative products in Live at the stage show. Visitors can benefit by benchmarking product features of different makes, interacting about their requirements with technical heads, and negotiating deals with chief executives. Moreover, two seminars hosted by FICCI (Federation of Indian Chambers of Commerce and Industry) on Sept 12 at 11 am and ELCINA (Electronic Industries Association of India) will give visitors a fresh insight into the latest incentives on investment in India the same day(Sep 12) at 2:50 pm. Zinnov has released a report post the completion of 100 days by the Modi government. The 5 “Growth Levers” identified in the report present a massive potential opportunity for the technology MNCs. The investment in technology for the year 2014-15 is an estimated US$26 billion comprising of investment in digitization, infrastructural improvements, push for manufacturing and technology in healthcare & agriculture. Talent Availability (85,000 Graduates from Top tier Engineering institutes, 1.2 million engineers graduated in 2014) Entrepreneurial Indian mindset (4000+ active technology startups 150 Startup incubators 49 Million SMEs/SMBs operating in India), Strong Democratic Fiber (Well defined electoral processes) and Communication Infrastructure (200 million internet users, 2nd largest number of telecom users) are considered India’s 4 Growth Pillars. 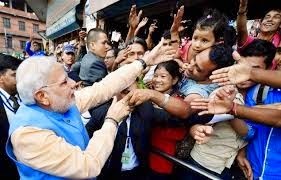 Modi’s governance model has a proven track record of being decisive, reform-oriented and business-friendly. The unprecedented mandate and the positive track record have instilled hope for an economic turnaround in citizens and investors. Government has defined a 3-pronged strategy to make India an innovation hub. Firstly through enabling skills by the establishment of more premier institutes such as IITs and IIMs and the development of innovation accelerators supported by innovation infrastructure. An innovative ecosystem fosters high quality research. Secondly, giving proximity to customers will accelerate and improve India centric product development. And finally, innovative ecosystem will also allow joint R&D efforts across industries for accentuated product development. MNCs have been leveraging the Indian innovation ecosystem to develop products for the Indian customers. So far, Technology MNCs have played a crucial role in the establishment of next generation infrastructure. The Indian government plans to invest USD 11 billion in the key focus areas to drive the next wave of technology-backed infrastructure growth. The key focus is to create national optical-fibre networks and to build 100 smart cities with high-speed digital highways along with national solar missions and national gas grids. Government has planned for simpler and well defined tax policies to aid businesses. 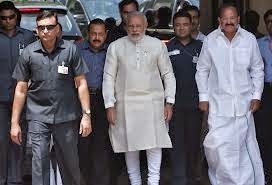 Expected introduction of Goods & Services Tax (GST) and Direct Tax Code (DTC) by BJP government will not only simplify and lower taxes, broaden collection and spark spending but will also remove complexities and bring stability to the economy by increasing investments, creating jobs and boosting exports. India is already home to the most prestigious manufacturing companies globally like-Bajaj, Hindalco, Reliance, Suzlon, Hero and Grasim. Modi’s government also aims to crank up the share of manufacturing in India’s Gross Domestic Product and to help India transform into a global hub for manufacturing. The Indian Manufacturing Industry presents a US$8 billion opportunity for the ICT sector by 2017. This is only possible when the Government’s push for manufacturing is backed by increasing adoption of IT and increasing relevance of IoT in manufacturing. “The stage is all set to create long term sustainable growth and reposition India on the global map with strategies like minimum government, maximum governance; empowering the poor; digital India and relationship building with Asian nations.” said Praveen Bhadada, Senior Director, Zinnov. 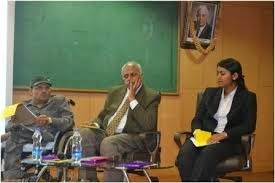 Following the global launch of the Student Entrepreneurship Program of SAP University Alliances earlier this year, SAP introduced the initiative in India at the BMS College of Engineering (BMSCE) in Bangalore. The program encourages student entrepreneurs and early start-ups to use SAP’s technology platform to develop new applications and launch successful start-up ventures. 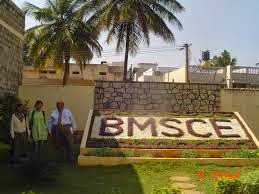 “Blessed with smart students, a diligent and result oriented staff, the challenge for BMSCE is to nurture students to learn the art of delivering swift and accurate engineering solutions expected by the industry. With solutions and mentoring from SAP, our students are poised to learn and adapt themselves to the constantly changing scenarios posed by the industry.” said Dr. Ravishankar, Dean, Placements, BMS College of Engineering. The SAP University Alliances program opens up the world of SAP to more than 1,800 universities in more than 80 countries worldwide, and aims to develop highly qualified graduates with critical skills for the 21st century workforce. Through a community of over 8,000 faculty members as well as engagement at over 750 events annually, SAP University Alliances has inspired students around the world about SAP.